Hi! My name is Sara Hope and I am from a gorgeous coastal town in the States. I had an amazing time while I was on Aardvark. I was able to learn the language of my ancestors with the best ulpan, travel all over the country, and most importantly, learn about my jewish history and my family’s connection to the land. 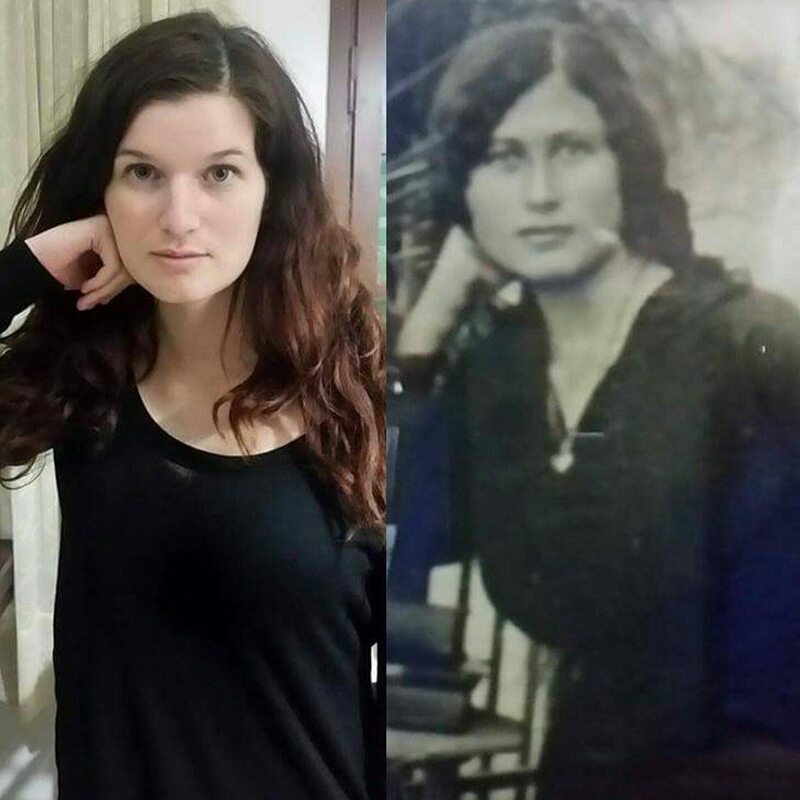 The woman in the picture next to mine is my great grandmother named Efrat from my father’s side. We were born the same day exactly 100 years apart, and many people tell me how much I remind them of her. Efrat’s mother was one of the first immigrants to move from Europe to Zichron Ya’akov, and her picture can be found in the museum there. My safta can be found in some pictures there too, she worked in the winery there and fought in the Palmach. After my saba (father’s side) left Hungary after the holocaust, he went to Israel and helped fight in the Battle of Dgania. Many of the tiyulim we took on Aardvark helped me learn a lot more about my family’s history and for that I am so thankful. As you can tell my roots here are very strong and I feel it. Being in Israel and having this experience has changed me in so many ways. Now, I’m able to talk with my safta and father in Hebrew, I have a much stronger connection to my Judaism because of Selah (the Jewish enrichment- study track), and I finally know what it’s like to be a part of a Jewish community. One of my favorite memories from Aardvark was cooking way too much food and inviting people over so I could feed them and act like a typical Jewish mother. Another one of my favorite moments in Israel was celebrating Purim. My roommate and I walked up and down Rothschild, danced in random street parties, took pictures with strangers, and watched many crazy Israelis dance in trees. I made a promise to myself that if I’m not studying in Israel next year, I’ll at least go back for Purim. The thing I’ll miss the most about Aardvark is being able to connect with everyone through our Judaism, we’re all in different places on the “Judaism spectrum” but we have a deep connection as Jews. I’ve never experienced that before in my hometown, I was one of 3 Jewish kids at my high school and was constantly asked if I speak “Jewish”. I know that I won’t get that feeling of unity in Slo so I am studying very hard right now so I can apply to IDC Herzliya, study psychology and eventually become a speech therapist for low functioning and medically fragile teenagers and adults. I plan on making Aliyah after college because Israel is my home. My best advice for incoming Aardvarkers would be to get out and make great relationships with the tiny store owners and make random conversations with people around the community. It’s nice to feel recognized in the area you’re living in. Even if it’s for a short time or a lifetime if you plan on making aliyah.